Poetry at The Rose sponsored by Eyewear: Stone & Irving! Brand new event : MOSAIC brings you the finest in music, art, comedy, poetry, dance and theatre... a mish mash melting pot of special performances drawn from far and wide! JON STONE was born in Derby and currently lives in Whitechapel. His collection School of Forgery (Salt, 2012) was a Poetry Book Society Recommendation and also won him an Eric Gregory Award. He has also edited and published multiple small and large poetry anthologies through Sidekick Books, the press he co-runs, including the Birdbook series and the forthcoming Coin Opera 2, an anthology of computer game poetry. KIRSTEN IRVING is one half of the team behind cult hand-made magazine Fuselit and collaborative poetry press Sidekick Books. Her pamphlet, What To Do, was released in 2011 by Happenstance Press and her debut collection, Never Never Never Come Back, was published in 2012 by Salt Publishing. 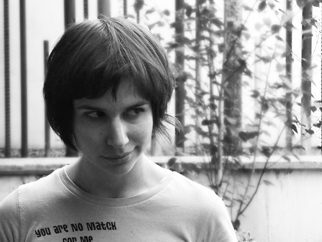 She won the Live Canon poetry prize in 2011 and currently works as a freelance copywriter and proofreader with the collective Copy That.